Valves apically and transapically symmetrical; linear with capitate ends. Small valves may be more elliptical with less capitate ends than larger valves. 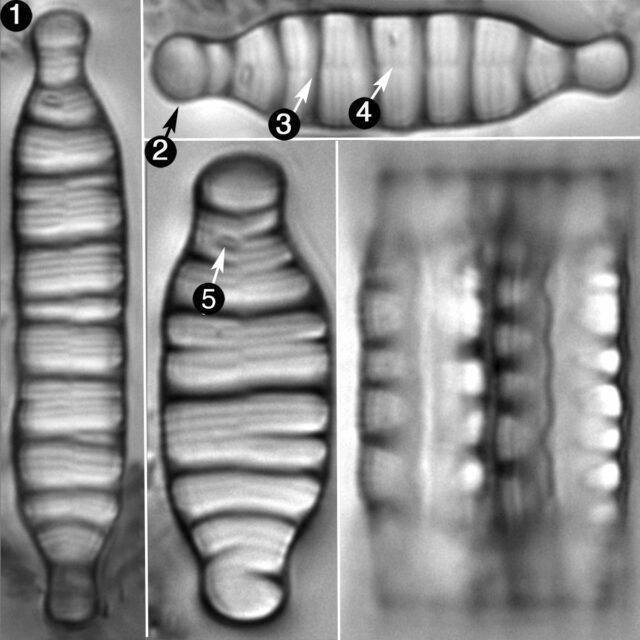 Valves possess both primary and secondary costae, which measure 3.3-4.9 in 10 µm. 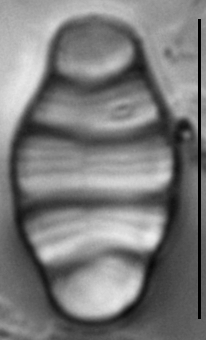 Striae are visible in LM but individual areolae cannot be observed. The sternum is central and well-defined. Each valve has a single, sub-apical rimoportula. 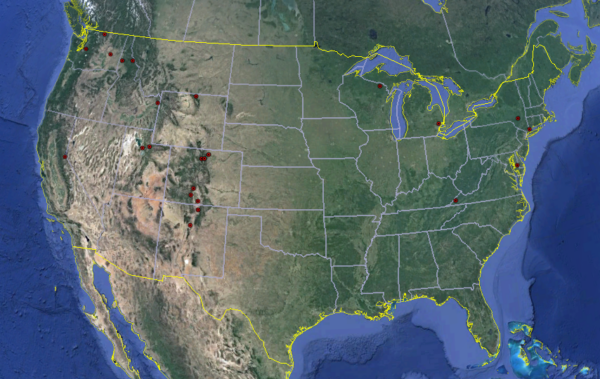 Meridion anceps is widely distributed across North America, notably in the western United States. 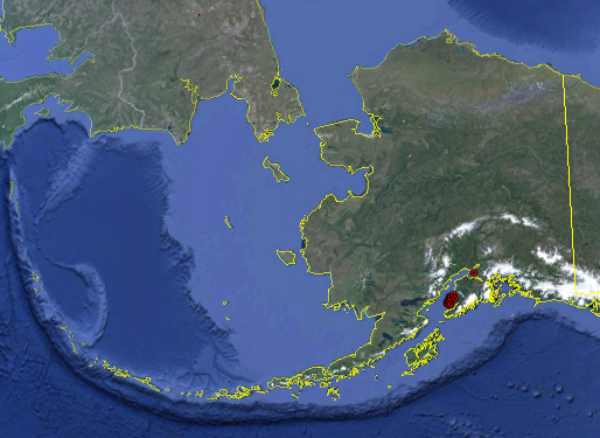 It can be found in aerophilic zones, wet walls, small creeks, larger rivers. It is common in submerged mosses and liverworts and co-occurs with several species in the Meridion, Diatoma, Tabellaria, and Tetracylus genera. F? anceps, parva linearis testulis a latere laxe striatis, apicibus, constrictis obtusis subcapitatis. Gomphonema Pupulae affinis. Valves are symmetric and linear, with subcapitate to capitate ends. Costae measure 3.3-4.9 in 10 µm. 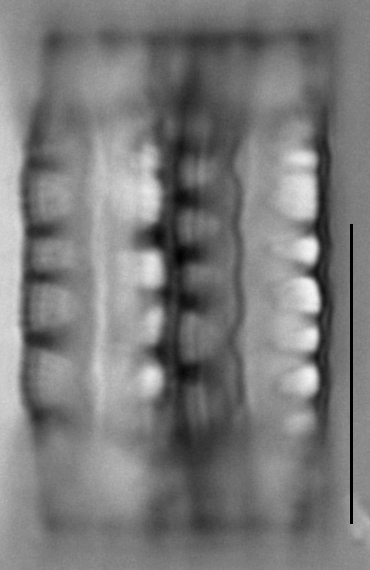 Striae are visible in LM, but individual areolae are not resolved. The sternum is central and well-defined. Each valve has a single, sub-apical rimoportula.